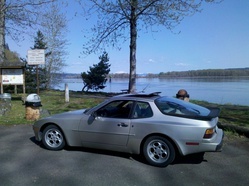 I had to go to the Coast for another work trip, so once again I took the 944. I can’t stop driving this car! It is the consummate GT: comfortable, capable, and quick!